Former Albertville football star Michael Darden is returning to Marshall County to join the Arab football staff as an assistant coach. He’ll be working for new Arab head coach Lee Ozmint. The two coached together at Oxford. The Arab City Board of Education met Friday to approve three personnel recommendations that were all connected. Lee Ozmint was approved as the new Arab High School head football coach. His wife, Leigh Hauser Ozmint, was approved as a teacher at Arab Primary School and Michael Darden was approved as a teacher and coach at Arab High School. Darden and Ozmint were assistants at Oxford. Ozmint succeeds Oscar Glasscock, who resigned after one season to become head coach at Cullman. The first game of the Ozmint era will be at Boaz on Aug. 23. The Knights also compete in Class 5A, Region 8 with Guntersville. Ozmint’s impressive resume includes being an All-SEC defensive back for Alabama and Coach of the Year while the head coach at Glencoe, where he led his team to seven straight playoff appearances. Ozmint compiled a 77-37 record in 10 seasons at Glencoe from 2006-15. His 2014 team finished 13-1 and lost in the Class 3A state semifinals to Madison Academy. He spent seven years working as an attorney following his graduation from the University of Alabama School of Law in 1994. Darden, a 2004 graduate of Albertville High School and 2008 graduate of Jacksonville State, went to Oxford High as the ninth-grade offensive coordinator in 2008. 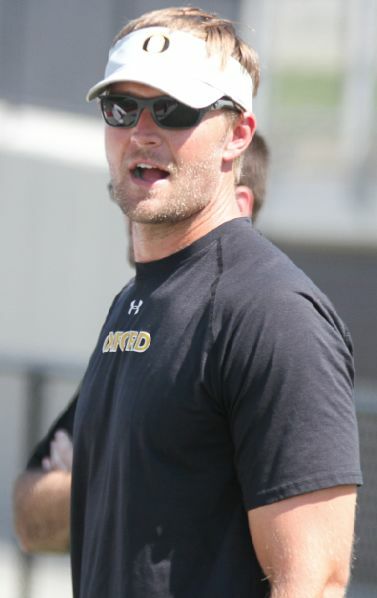 He served as the high school quarterback coach in 2009, added the title of passing game coordinator in 2010 and has been the offensive coordinator and quarterbacks coach since 2011. Ozmint felt strongly about Darden coming with him to coach. “If you got a good deal with me, you hit a home run with Michael Darden,” Ozmint said. “He’s one of the best coaches I’ve ever worked with. Ozmint becomes Arab’s fourth head football coach this decade, following Watt Parker, Adam Gilbert and Glasscock.